Hooray! Another Driver Easy update is here to meet you! Today we roll out Driver Easy 5.5.6, a brand new version bringing you newly-added features and better user experience. Thanks for your warm-hearted suggestions and long term support, we’re able to keep going forward. So today we’re releasing the latest version, don’t miss out! 1. 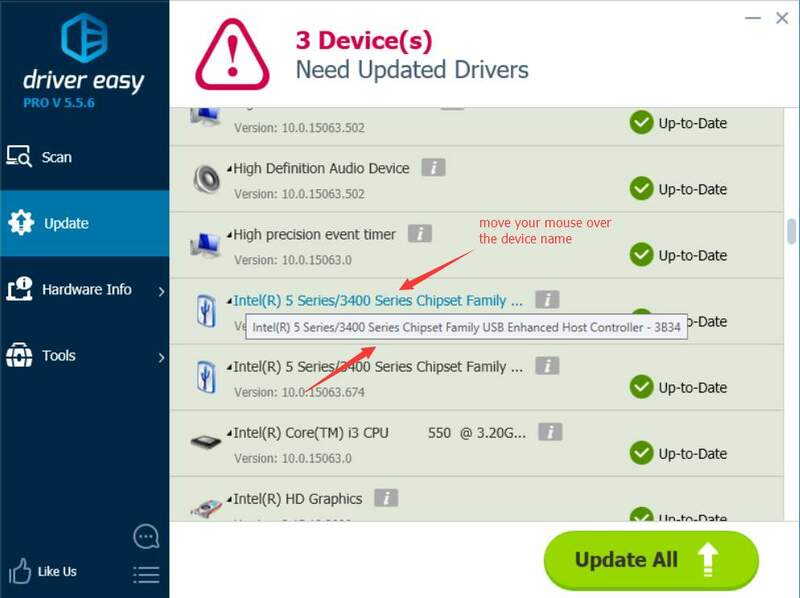 We improve the driver icons in the Devices with missing driver(s) category now, which indicate the driver types. We’ve always had specific driver icons in the Device with outdated driver(s) and the Unplugged device(s) categories. In the Devices with missing driver(s) category, we used to use an identical icon: . Now we add specific icons in the Device with missing driver(s), so you can see what type of drivers are missing accordingly. 2. Now when you move your mouse over a device name, you’ll see its full name. It saves you time to click the device name to check its full name as you used to, so you’ll have a better idea of what driver updates are available easily. 3. 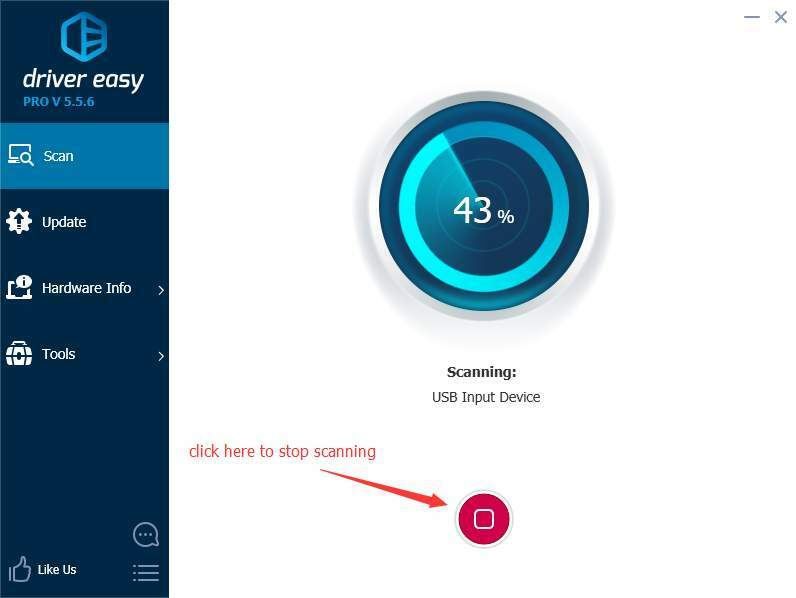 We add the stop scanning feature, so you can stop scanning whenever you want. Say goodbye to sitting in front of your computer and waiting for the scan to complete. 4. 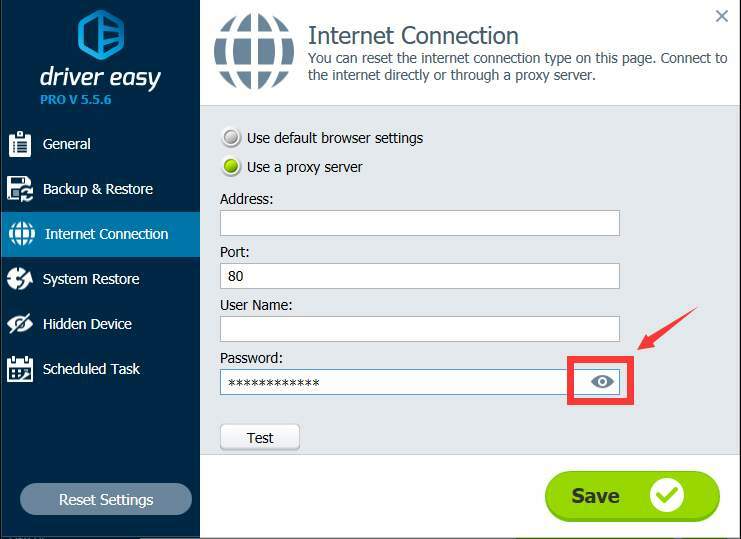 We improve the way the password presented when you setup the proxy connection. The password used to be visible. Now it’s invisible for security concern. Of course, you can choose to make it visible or invisible by clicking the eye icon as shown in the screenshot. Thank you, our warm-hearted users, for such a great suggestion! Never hesitate to give us more feedback by Reporting Bugs. You will get a free license key in return. 5. To provide a better experience for you, we improve the dialogue box for the Driver Backup by fixing the progress bar and changing the animation color of the progress bar. 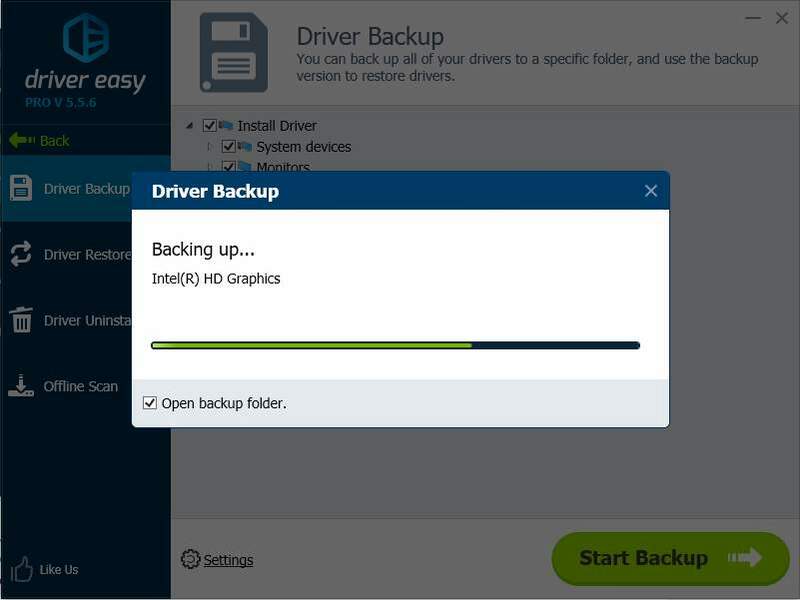 In that case, you’ll know Driver Easy’s working progress when you backup files of large size. 6. We fix the bug where you might accidentally enter the functions in Tools such as Driver Backup by clicking the area shown in the screenshot below. Now you don’t need to worry about going to features and functions in Tools when you’re not intend to. 7. 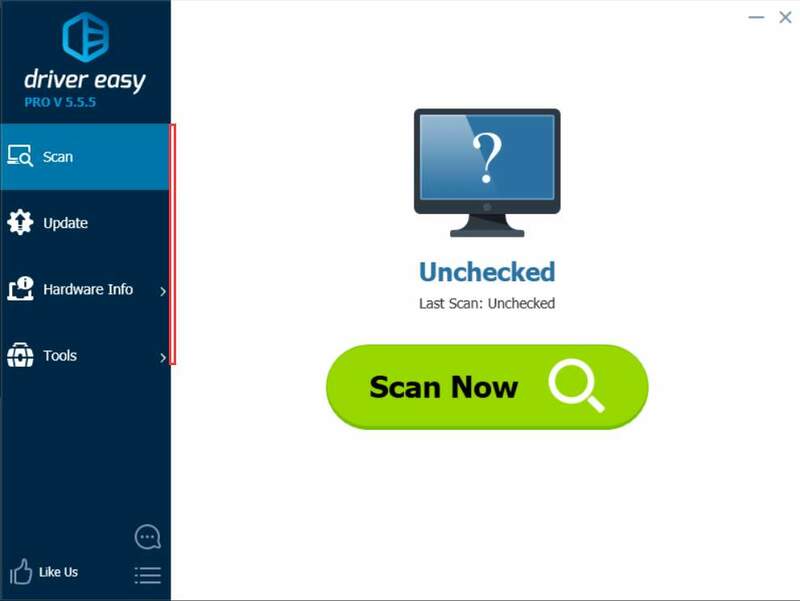 We fix the scan crash bug when enable the Get driver software from Windows Update feature. In addition, we fix some other bugs with the sidebar, the scan bar display, and the driver backup process, to offer you a better user experience! Last but not least, we also fix some other minor bugs. Can’t wait to enjoy all the new features? 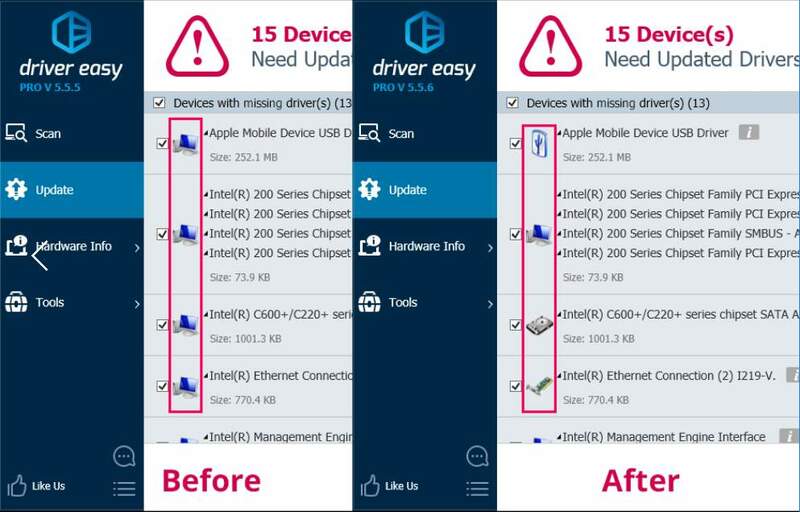 Click here to download the latest version of Driver Easy and let us know your thoughts!